All you do need is a love of world class wines, paired with exceptional culinary treats created by Sonoma County’s top chefs. It also doesn’t hurt if you like to get down and party, since the 45 + participating wineries pull out all the corks, throwing in everything from belly dancers to safari adventures to ensure that everyone has a great time. If you really want to do it up right, join a select group of serious foodies for the one helluva kick-off party on April 29, at the acclaimed Dry Creek Kitchen and the Hotel Healdsburg with sumptuous cuisine from celebrity chef Charlie Palmer. 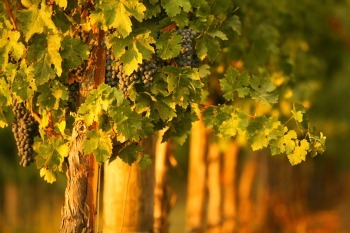 Discover world-class small production wines from Dry Creek Valley wineries, all family-owned! Live jazz music. *Tip: This popular event always sells out so if you procrastinate you’ll be shut-out, so you’d better buy them NOW! Gateway to Passport—A First Class Experience: Friday, April 29 from 6:30-9:30 pm. Tickets are$150 per person. Passport to Dry Creek Valley®—A First Class Journey activities begin at 11am, lasting until 4:30pm, Saturday and Sunday, April 30 & May 1, 2011. Tickets for Saturday and Sunday combined are $120 for the two-day passport, or $70 for the Sunday only Passport.